I’ve been on a make-up tutorial kick the last couple of months and what never fails to crack me up is when someone posts a video about a “quick and easy” or “every day” look and it’s 15 minutes and 25 products long. 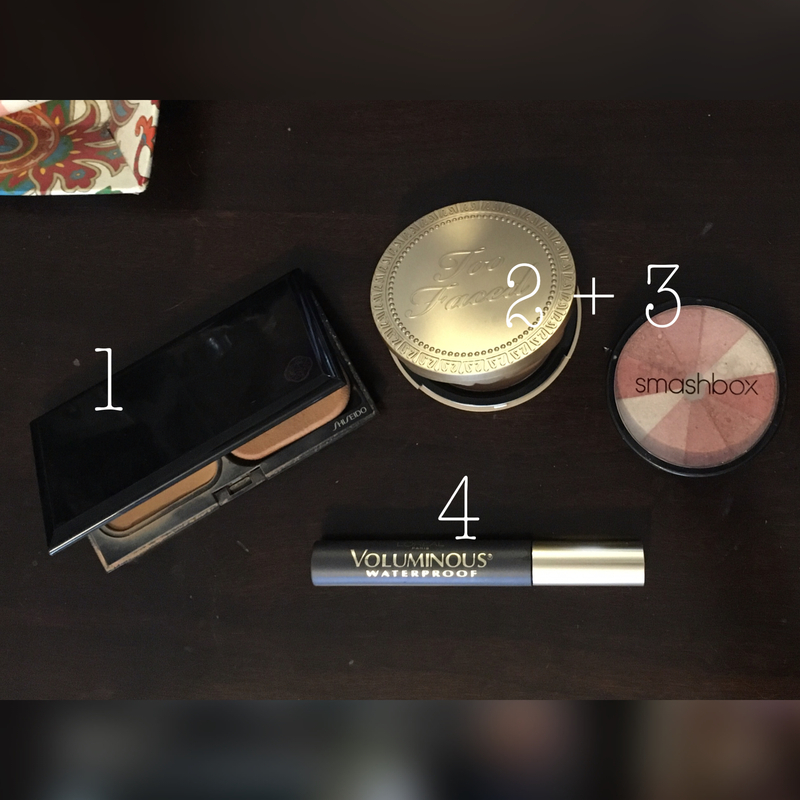 When I’m in a rush (or flat out feeling lazy), here’s my routine that takes approximately 3 minutes and uses 4 products and 2 tools. Start with cleansed and moisturized skin and apply a powdered foundation with the applicator provided. I’m currently using a Shiseido one purchased at Sephora but it appears to be a discontinued product. Use a large, fluffy brush to swirl a matte bronzer and a subtle (keyword: subtle) highlighter all over your face. I love the Smashbox Baked Fusion Soft Lights highlighter because it gives my skin a lovely allover glow without being obnoxious but also appears to be discontinued (the things you find out when you want to hyperlink!) The bronzer is Too Faced Chocolate Soleil (surprisingly, NOT discontinued) and one of the few truly matte bronzers on the market today. Curl your lashes and throw on some mascara. My favorite is L’Oréal Voluminous mascara in the waterproof formula.